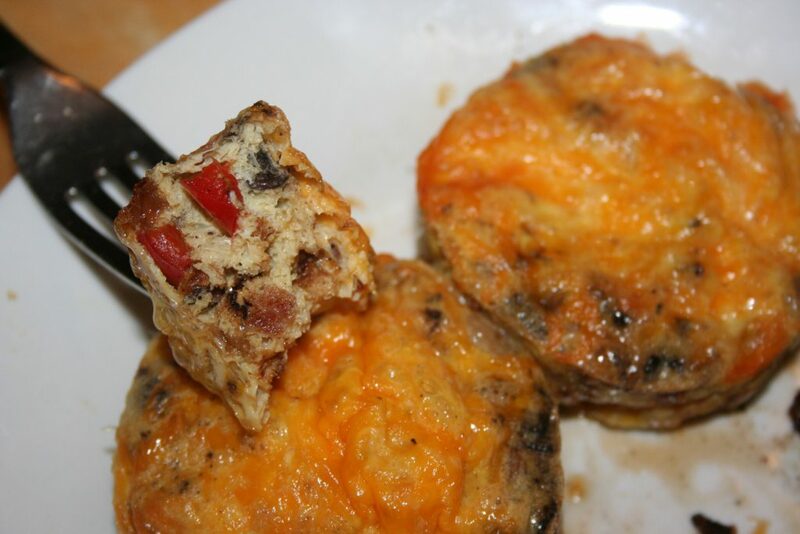 Low-carb breakfast that can help use up bits of leftovers and make a tasty meal. Last year at the young adult conference at our church, we had muffins, donuts, yogurt, apples, and bananas. 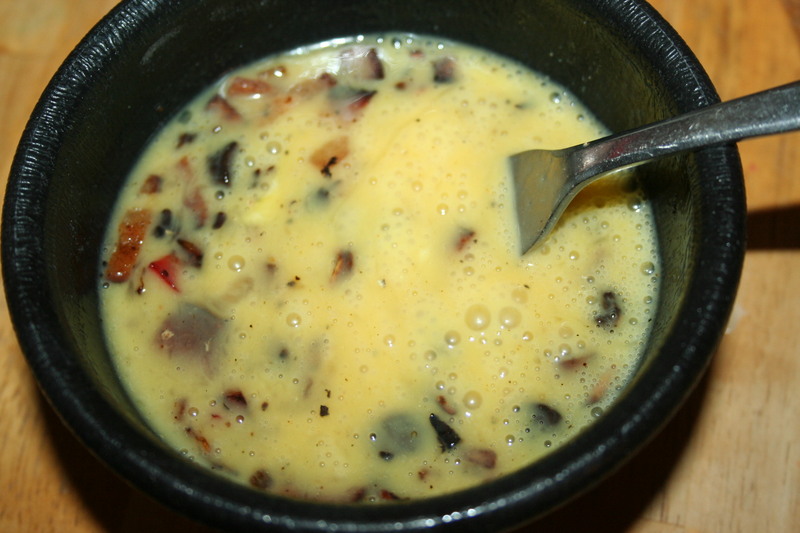 By the last day, I couldn’t take any more sweet foods, so I brought two dozen eggs and made some baked eggs. They loved them. So, this year, we planned to have some egg dishes each day. I made those wonderful baked eggs on two days. For two dozen of them I scrambled the egg before pouring it in the ham lined muffin cups. 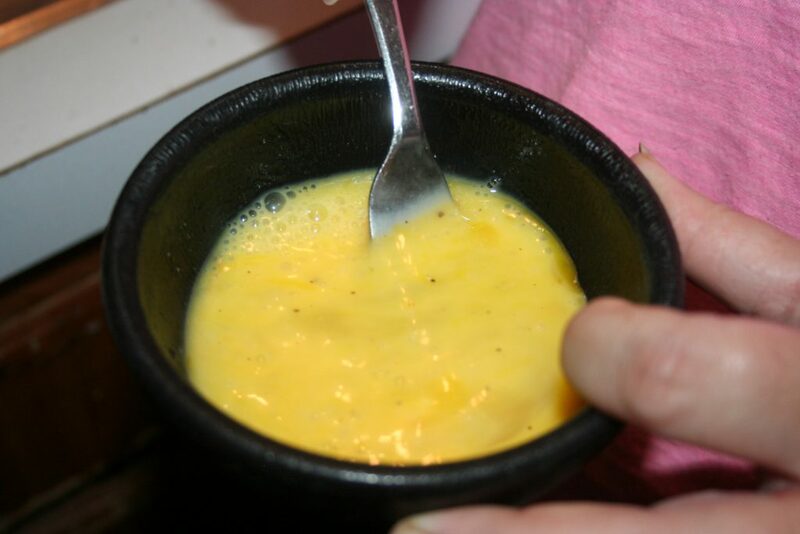 One day I made a delicious crescent egg ring, which I will share with you one day soon. 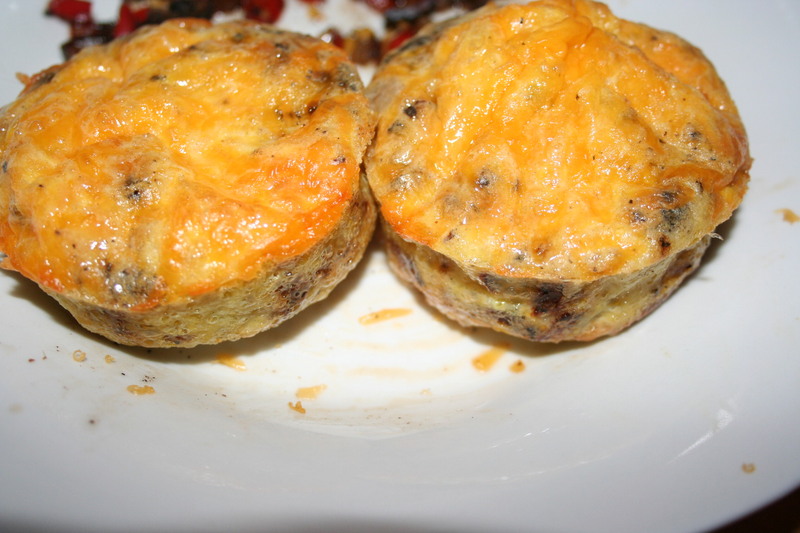 The other two days I made these egg muffins, which can be made with any ingredients you want or have on hand. It is a great recipe to take advantage of the bits of veggies or leftovers that need to be used. I chose to use sausage and cheese in a dozen, sauted onions, mushrooms, peppers (red, green, orange, and yellow) and cheese in a dozen, and all of the above in two dozen. Make sure your meat is cooked. During the conference one day, I used bagged bacon bits with the sausage and it turned out pretty good. 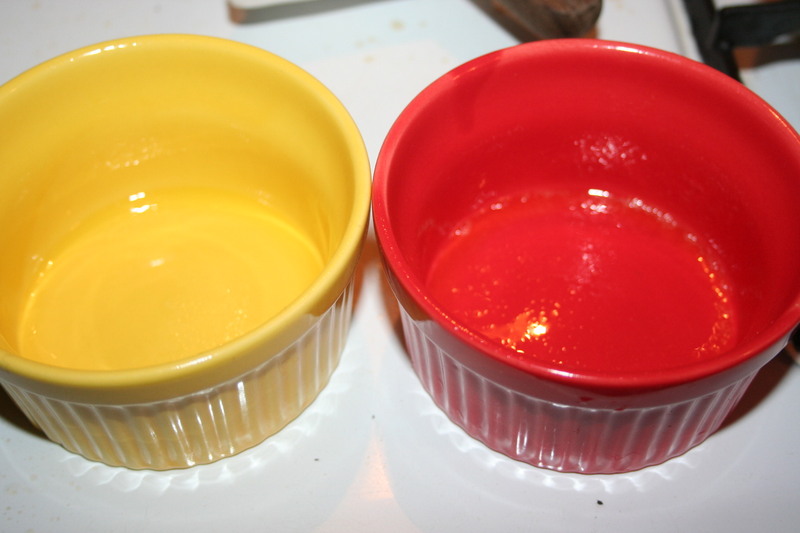 I sprayed my ramekins, since I was only making two this morning, otherwise I would have used a muffin tin, like I did for the conference. Spray them well!!! Crack one egg for each muffin and scramble. Add about one tablespoon of sautéed veggies, and one tablespoon of meat for each muffin. It really doesn’t matter much, it’s a forgiving recipe. 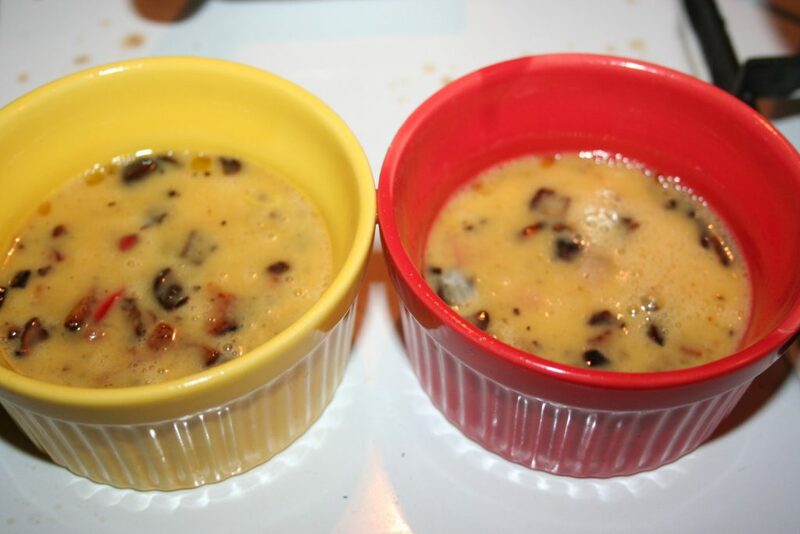 Divide it evenly between your cups, filling about 2/3 full. 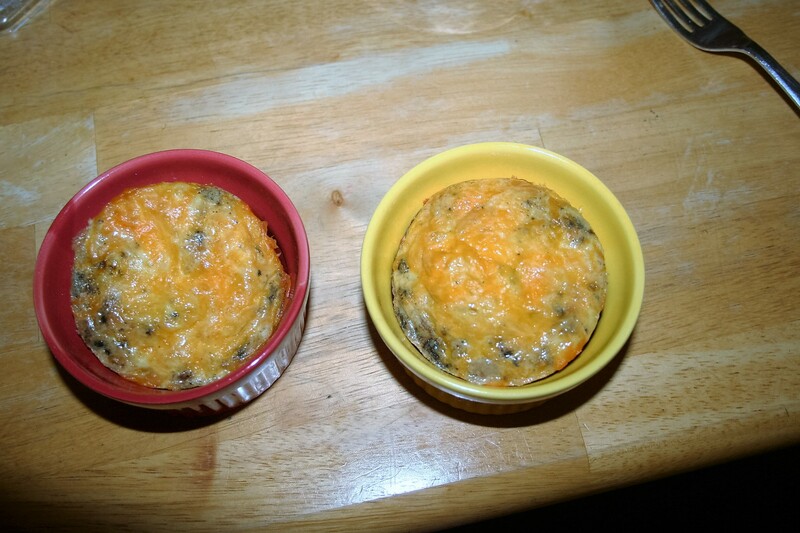 My ramekins are larger than the muffin tin, so they are only about half full. You can add whatever ingredients you want. I’ve seen avocado, spinach, tomato, and broccoli. Really, anything you can think of will probably work. 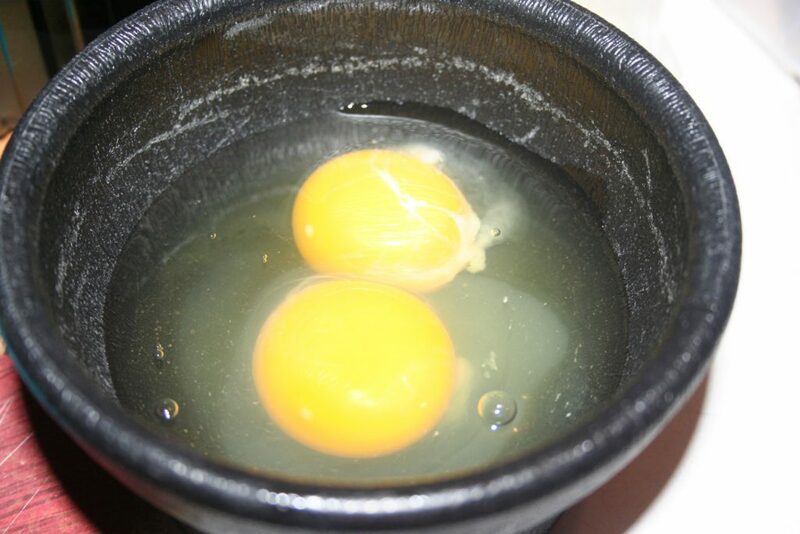 Crack egg into a bowl and break it up with a fork or small whisk. Spray ramekin or muffin cup with oil, coating the cup well. 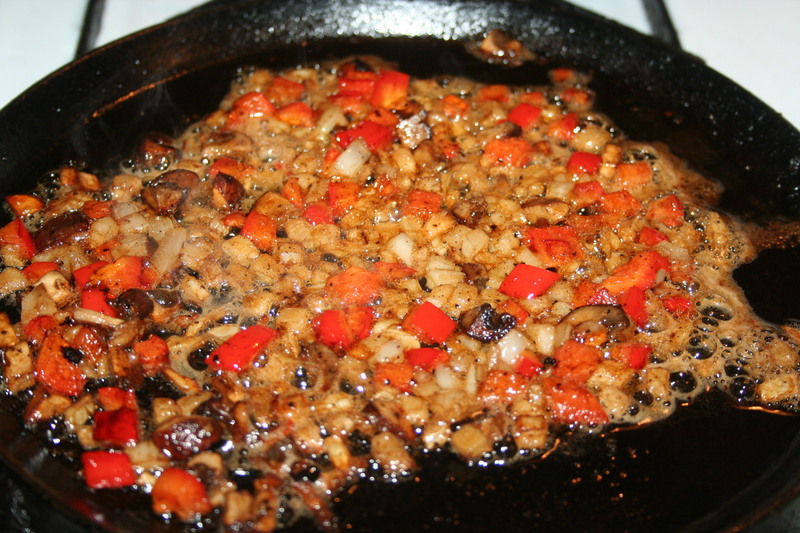 Add salt, pepper, meat and veggies to the egg and stir. Bake ate 350º for 15-20 minutes or 450º 12-15 minutes.